AKRON, O.H. 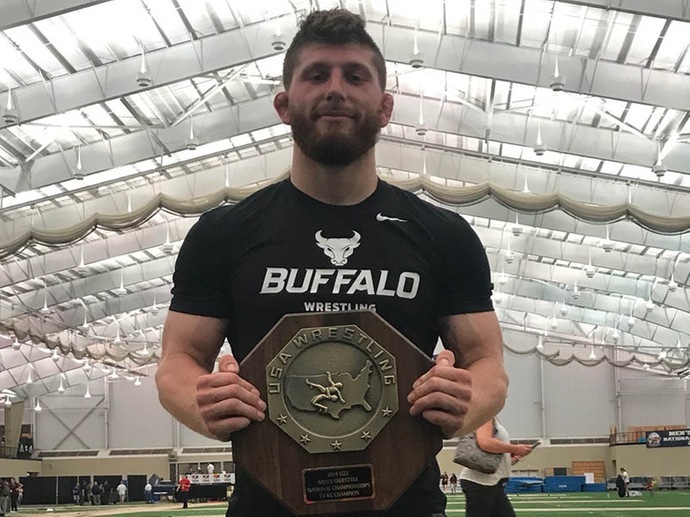 -- University at Buffalo wrestler Alex Smythe took down some of the best competition in the nation to secure a spot on the U23 World Team, winning his weight class at the men's freestyle U23 World Team Trials hosted by the University of Akron. Smythe will now compete at the U23 World Championships in Bucharest, Romania, the week of Nov. 12-18.